Servcorp meets CWB to talk awards! 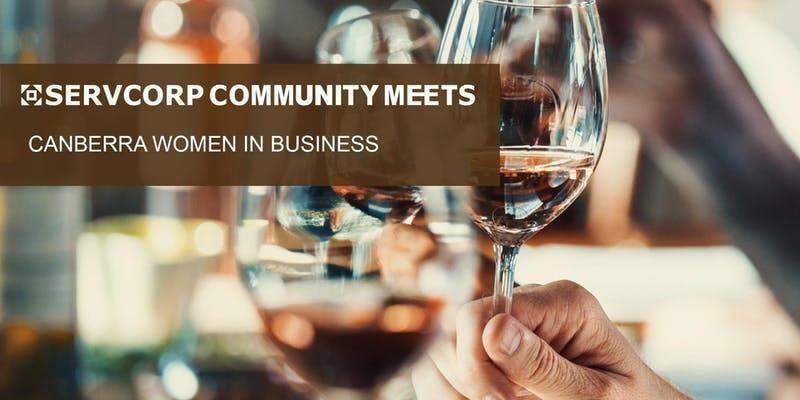 Join us for a wonderful evening – with a wine or two in hand – and take advantage of the opportunity to learn and grow with a supportive group of successful businesswomen from the Canberra region. At Servcorp, we are about empowering women each and every day, which is why we are so happy to join with Canberra Women in Business to host this event! Many people aren’t aware that Servcorp is a company comprised of 82% female employees, with 50% at a senior executive level. Canberra Women in Business an organisation created by women and run solely for women, to provide support and development opportunities for businesswomen in the Canberra region. Developing business skills, offering powerful connections in an environment tailored to the needs of women, Canberra Women in Business fosters the confidence to establish and grow successful businesses. Bottle of wine and a voucher for meeting room use in our premium Servcorp offices. Bus – 10 minute walk to Civic Center, where you can travel anywhere from Canberra’s North Side to South Side including the Parliamentary Triangle.